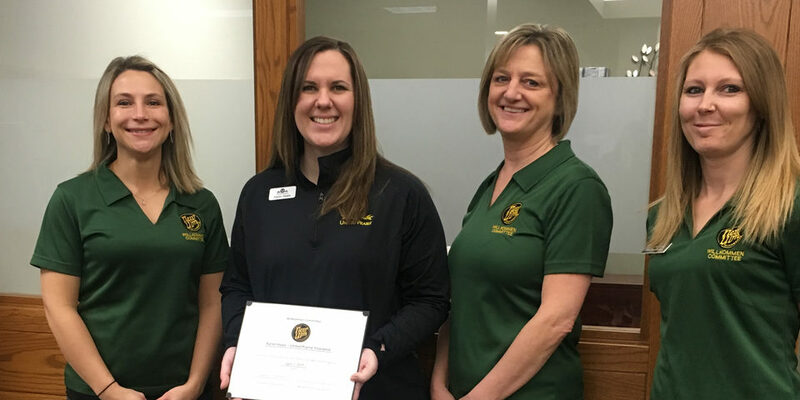 The Willkommen Committee of the New Ulm Area Chamber of Commerce welcomed the AmericInn Hotel & Suites of Sleepy Eye as a new Chamber member! The hotel is connected to the Sleepy Eye Event Center, which is operated by the City of Sleepy Eye. Tom Larson with Ruhr Development said the company first had interest in Sleepy Eye when the talk of an event center started happening. They purchased the hotel and did a complete remodel and renovation, including exterior, public spaces and guestrooms. General Manager Thad Benson moved to Sleepy Eye from Mason City, Iowa, where he worked for another Ruhr Development hotel property. He says with the small town atmosphere, and the hotel only having a total of 38 rooms, he’s been getting to know the guests, especially the regular business travelers. Welcome! 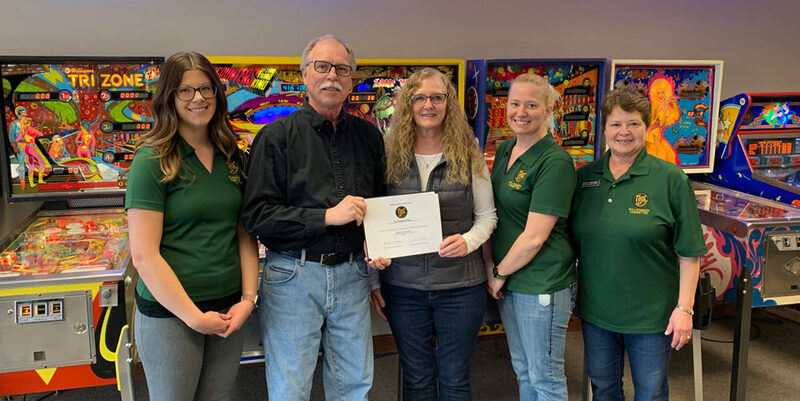 In the photo: Nicole Briggs, Jensen Motors; Kathy Van Roekel, Nuvera; Thad Benson, AmericInn Hotel & Suites Sleepy Eye; Tom Larson, Ruhr Development; and Jess Gieseke, Mayday Motors.